Hawthorne is dedicated to designing and sourcing long wearing goods, tools and accessories for outdoors enthusiasts and semi-nomadic urbanites. This little knife is made to be a do-all companion; at the picnic table cutting cheese, making shavings to start a campfire, sharpening a pencil, or in the kitchen chopping garlic. 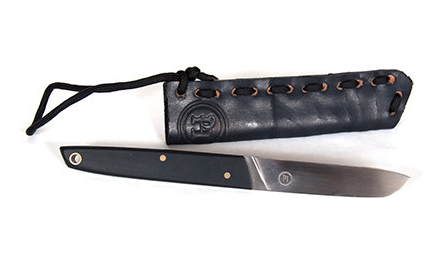 The knife comes with a leather sheath that can be worn on your belt, hung on your kitchen wall, or tucked in your pack. You can learn and see more here.